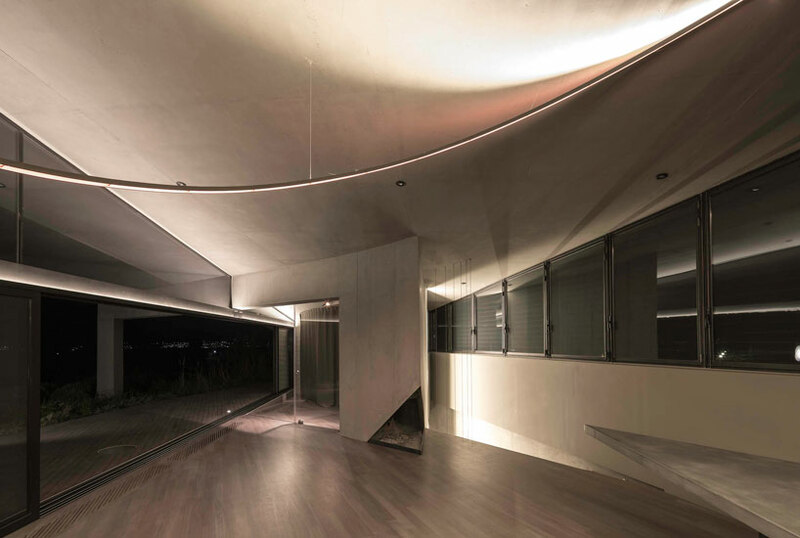 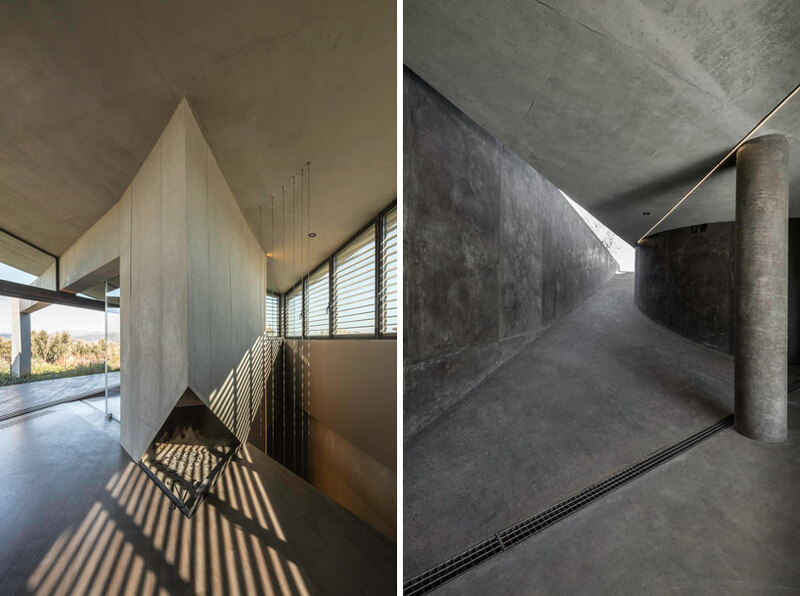 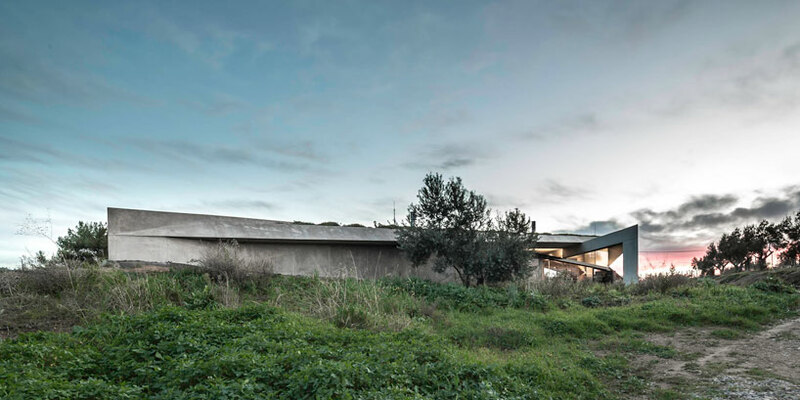 in an elongated olive grove near athens a 60 meter long concrete roof emerges from the site and poses a conceptual and structural dichotomy between building and landscape, indoor and outdoor, sculpture and engineering, integration and rejection. 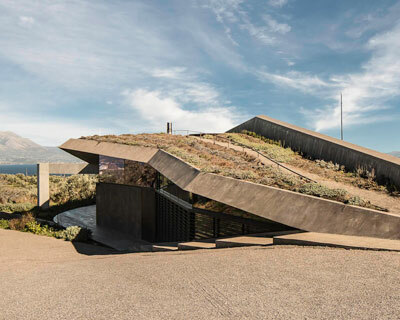 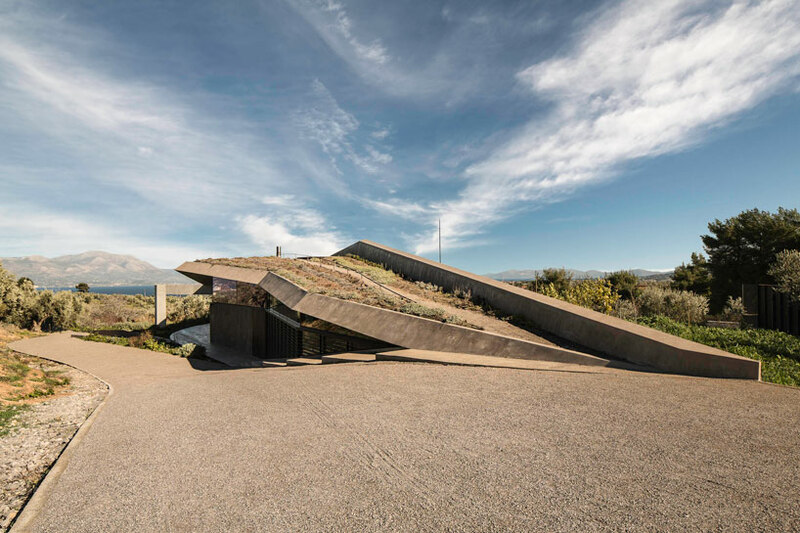 the ‘house in sikamino’ by greek practice tense architecture network, nominated for the 2013 mies van der rohe award for contemporary architecture, is defined and brought to life by its brilliant protective canopy covered with helichrysum, drosanthemum, lavender, gauras, and thyme. 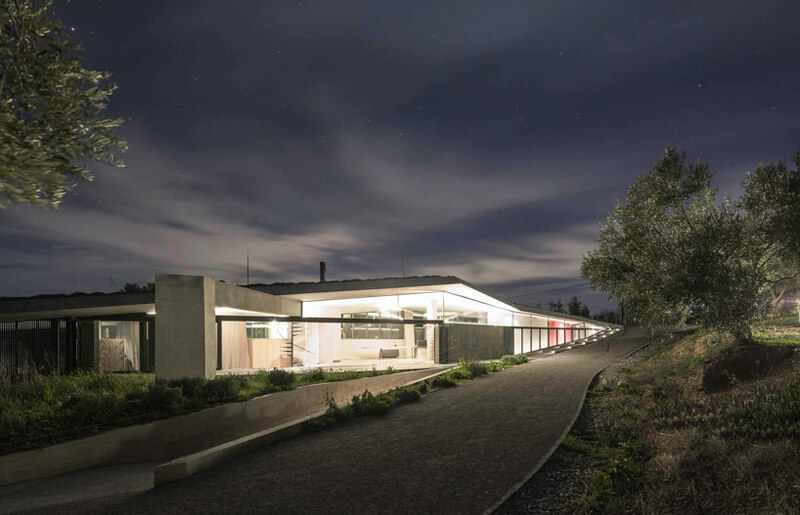 it is just as much an object apart from the landscape as it is a subtle fracture in the earth that almost disappears – engineered from the naturally faceted changing contours of the site. 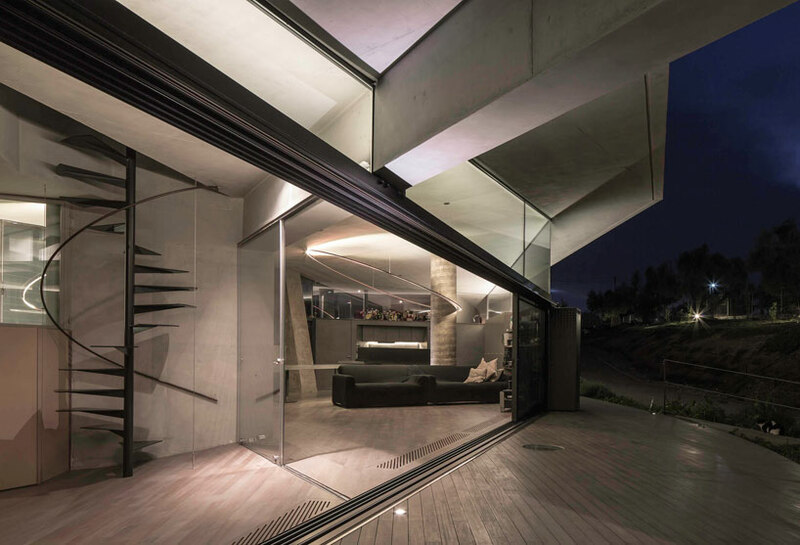 the main living space is located beneath at the widest section of the rhomboid-shaped footprint with the bedrooms designated to the edges. 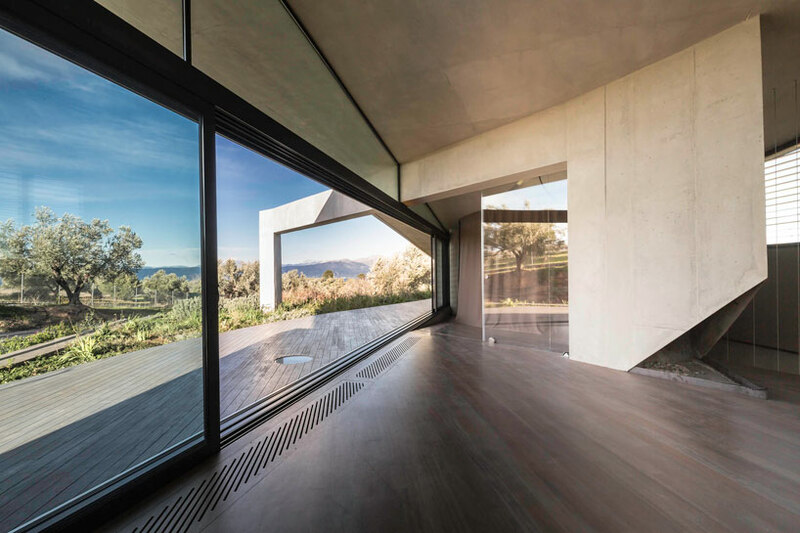 as the roof plane gently rises and the ground lowers in elevation the interior is opened entirely to the exterio with views of the distant euboea mountains and gulf sea. 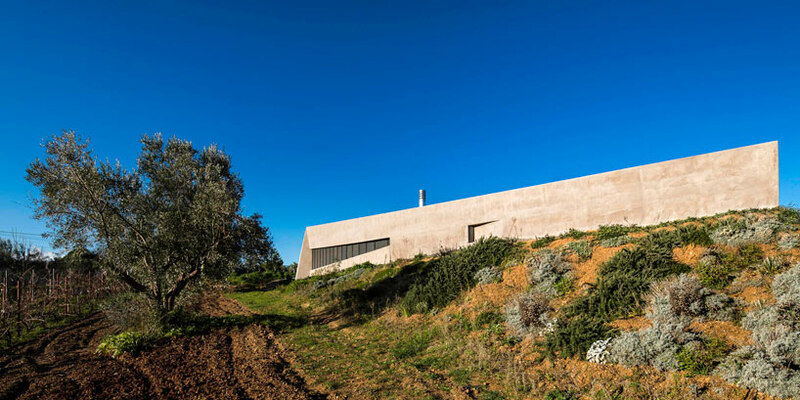 the earthen thermal mass that cradles the project provides a maximum insulation, while metal shutters and sun blinds create layers of opacity between the man-made and nature that block direct sunlight.